The beauty and depth of DayZ lies within player interaction and sometimes we get rewarded with great stories and personalities when we decide not to shoot. 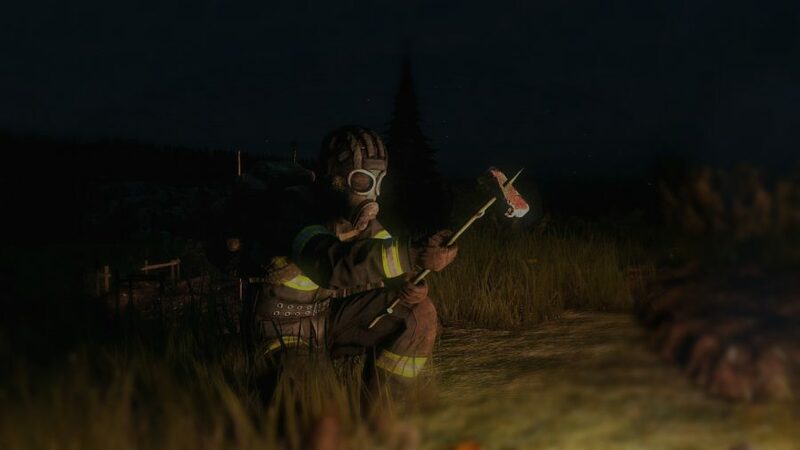 With “The Humans of Chernarus”, DUG team member Jari created a photo series captured on DayzUnderground, showing portraits of those who are out there, what they go through to survive and the stories they experienced along the way. All of these characters are real people and their stories tie into real events and group dynamics on DUG. The series was inspired by the iconic “Humans of New York“. We are survivors – these are our stories. I just needed to sit down and think about everything that’s happening… how it’s going to affect my brothers and sisters. I wore the mask because it was a way I could disconnect from my past self. People always ask me about the equipment I wear. I’ve worked hard to make the Northeast a sanctuary.